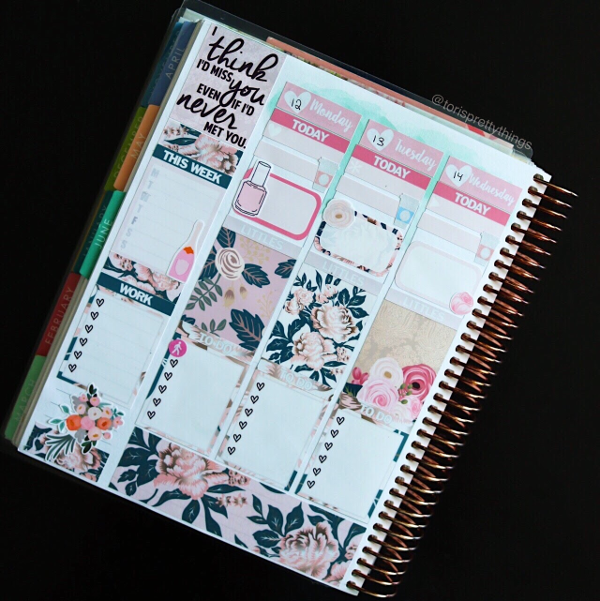 Tori's Pretty Things: Tori's Pretty Plans - "All Dressed Up in Love"
Well, hello! Happy Friday! How's your week been? 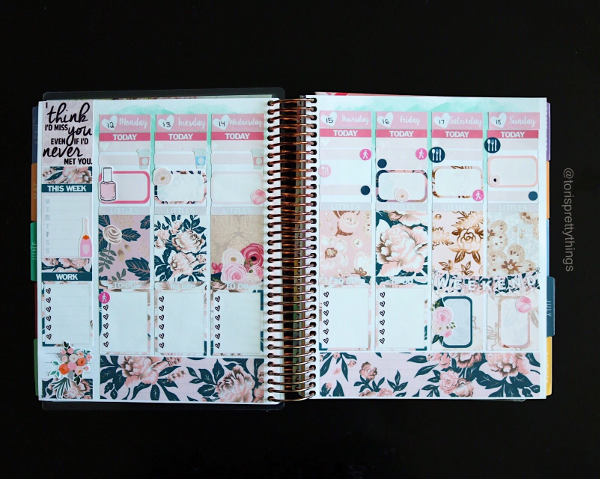 For this week's pretty plans, I couldn't help myself - I used the Glam Planner Wedding kit. Before you ask - No, I'm not getting married and I'm not engaged...yet. I don't wear a ton of jewelry so we both agreed that, given this is a very expensive purchase and something I'm going to wear every single day, it's just the right decision that I pick it out. This isn't the right choice for every couple, but it was right for us :). After that? It's totally up to B what happens from here! I have a very strong hunch that it could happen any day now so I wanted to use this kit for a couple of reasons: 1. To celebrate our love, 2. To enjoy the gorgeous floral design during the warm summer months, and 3. To consider it now open season. All bets are off and we could get engaged any day now, so let the "when will it happen" countdown begin! As far as the actual design goes, here's where it gets a little tricky. I loveeee the EC vertical layout and colorful design. Generally, I find the colorful accents a mark in the pro column. 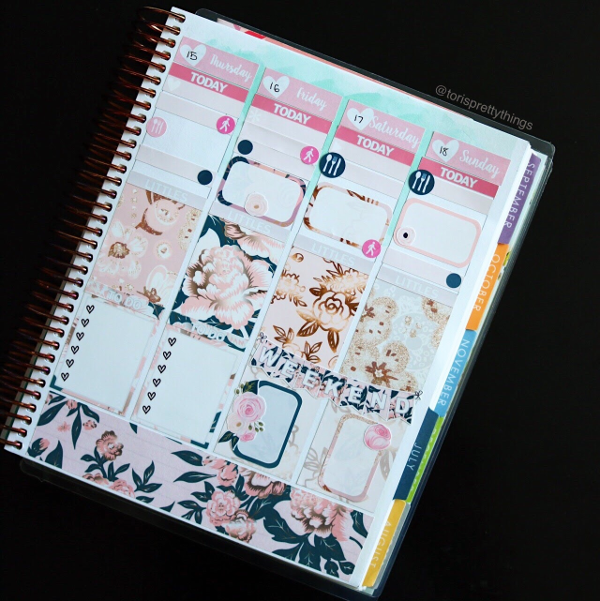 I love coordinating stickers that match the EC seasonal touch. Thankfully, I had a few leftover date covers from a SerliDesigns kit (I'm sorry - I can't remember which one!). So that helped tone the color contrast down a bit. Aside from that, I'm very happy with how this layout looks...and now I have a few leftover ring decoration stickers for whenever the occasion strikes ;).